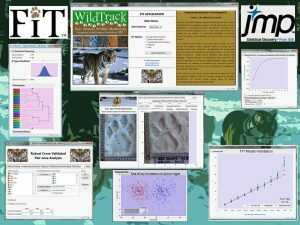 To protect endangered species we must have reliable data on their numbers, and where they range. Only then can we make informed decisions on how best to deploy resources to protect them. Non-invasive monitoring means monitoring without disturbance to the normal behaviour, ecology or physiology of the animal. Many commonly-used techniques rely on the fitting of instrumentation to the animal, such as a transmitter (eg radio-telemetry through a collar, tag, insert) or by marking, or capture to take biological samples, or close visual observation. Whilst it is occasionally essential to use some of these techniques (for example in translocation, or veterinary treatment of injured animals) a large body of scientific literature describes the risk of deleterious effects from regular disturbance. Something that is often not taken into consideration is also the risk of invalidating the data we collect; if our methods change the behavior, ecology or physiology of animals in any way, the data we collect from them may be invalidated.